If you research treatment for nerve entrapments you will come across different options. Those may include local injection of an anesthetic, oral medications or therapy and for more severe cases surgery. A nerve entrapment or pinched nerve can feel like someone is stabbing you in the back with a knife or a constant shooting pain and can happen all over the body. I have even worked on nerve entrapments in the feet that have cause people to be unable to walk. I have clients who have gone through various treatments before I have seen them sometimes. Many times I am the last option, after injections or other medications that temporarily resolved the pain. I even have clients that have had their nerve ending burned off to try and alleviate the pain. Unfortunately that didn’t work either. Nerve entrapments and other muscular issue can be effectively resolved through our therapy sessions. Our bodywork sessions use a combination of many techniques including advanced deep tissue massage and cranial structural rebalancing. Our cranial techniques are designed to release the pattern your body is in and we then follow-up with deep tissue massage to loosen the muscles around the nerves allowing them to return to a normal position, therefore alleviating your pain. Explore your options and make the best decision for you. Just remember, these aren’t new issues. People have been suffering from these conditions since the dawn of man and way before we had prescribed drugs or surgery to resolve these issues. The body has an amazing ability to fix itself and sometimes just needs a little bit of help that we provide. At Surgical Alternative, we have been dealing with clients in severe pain for over 14 years now, that are suffering from herniated discs, bulging discs, hiatal hernias, peripheral nerve damage, nerve entrapments, pinched sciatic nerve issues, collapsed arches and many more symptoms that people think they either have to have surgery for or are told they just have to deal with the pain. We are passionate about what we do and spreading the message so that we can reach and help some of those people that suffer from these and many other painful conditions. Surgical Alternative is now located in Lutz near New Tampa. We proudly service Tampa, St. Petersburg, Land O Lakes, New Port Richey, Wesley Chapel, Trinity and all surrounding areas. Please call today, or schedule your appointment online! 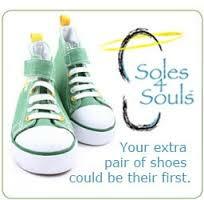 Join us now through Nov 16th at Surgical Alternative’s shoe drive for Soles4Souls ! This will be followed by the Patriot Run at Carollwood Day School. How Surgical Alternative Can Help You!!! Nominate a person you know, family or friend for a Free Cranial Therapy Session!!!!! !